Posted 10:16 am, Feb. 5, 2019. Some college students don’t become interested in business until their junior or even senior year, as they begin to seriously job hunt. For students with a liberal arts major and little-to-no internship experience, it’s almost impossible to get a job in a business right after college — but a one-year business masters program can help close that gap. 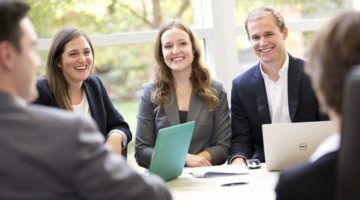 True, many students in programs like Master of Science in Finance, Master of Accountancy, and Master of Marketing do have a business-related degree from college. But plenty of them have a liberal arts degree instead, and came to the program to get the business education they need to launch a career in these fields. “You have a (liberal arts) foundation that you can bring to business problems that is going to differentiate you down the road. 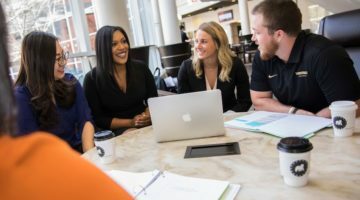 But you do need a set of business skills — business tools — that you can use to hit the ground running right away,” said Cherrie Wilkerson, Assistant Dean for Young Professional Programs. To answer the question upfront: Yes, you can definitely get accepted to a one-year business masters program with a liberal arts undergraduate degree. “We have had students from all different majors. So we’ve had a religion major, we’ve had psychology majors, lots of different engineering backgrounds, people who thought they were going to be pre-med or pre-dental and changed their mind,” recalled Maura Clark, Director of Admissions for the Master of Science in Finance at Vanderbilt Business. 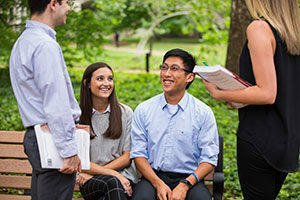 “It’s not necessarily your major, it’s what you want for your career…if you can take (the prerequisites) and you know you’re interested in business, you can major in anything you want,” added Emily O’Dell, Director of Admissions for the Master of Accountancy. Indeed, these one-year masters programs are designed to help students who didn’t get (or get enough of) this business education in college prepare to start their career in their chosen field. Whether the student didn’t realize they were interested in business until their senior year, or simply attended a college that didn’t offer business majors for undergraduates, a one-year business master’s program can help students fill in any educational and career development gaps. “The program was designed to help students without marketing coursework to gain the skills and experience they need to launch a marketing career. 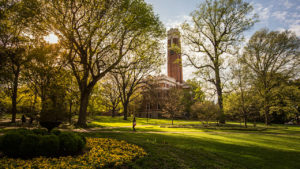 All majors are encouraged to apply,” said Suzanne Feinstein, Director of Admissions for the Vanderbilt Master of Marketing. “Whatever your undergraduate degree, you get everything you need (from the program),” O’Dell affirmed. That being said, most business masters programs do look for some sort of quantitative experience from prospective students, usually in the form of college classes. The MAcc program does have specific prerequisites: Students must have completed Financial Accounting, Managerial or Cost Accounting, Microeconomics, and Statistics by the time they start the MAcc program (though not necessarily when they apply). Candidates applying to the Valuation program are also expected to have completed additional quantitative coursework. 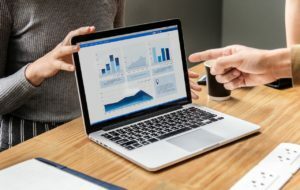 Even the Master of Marketing program looks for a certain level of familiarity with quantitative work, as the field is becoming more data-driven by the day. 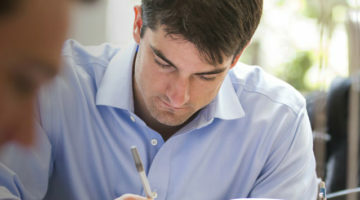 Most students have taken at least one quantitative course such as economics or basic accounting, which (again) is often required by the liberal arts core anyways. For prospective students worried that not having a business major will set them back, fret not: Students have the same access to classes and job opportunities during the masters programs, no matter what their undergraduate degree was. “A Davidson history major is going to have the exact same opportunities as a Tennessee accounting major,” O’Dell said. The skills that students gain from a liberal arts education — writing, communication, critical thinking, problem solving, working in teams, and more — will also serve them quite well as they embark on their business careers with the help of their masters degree. “Being able to take a lot of really complex information, analyze it, synthesize it, and communicate it in a simple way that people will understand — that’s marketing, and that’s what you learn in a liberal arts program” Feinstein said. In fact, a liberal arts major can actually help you stand out in the recruiting process as you network with alumni and chat with recruiters, especially if you’re job-hunting in a field where most applicants have a traditional business bachelor’s degree. “Pairing that (liberal arts background) with a very technical finance degree can make for a very interesting story,” Clark said.